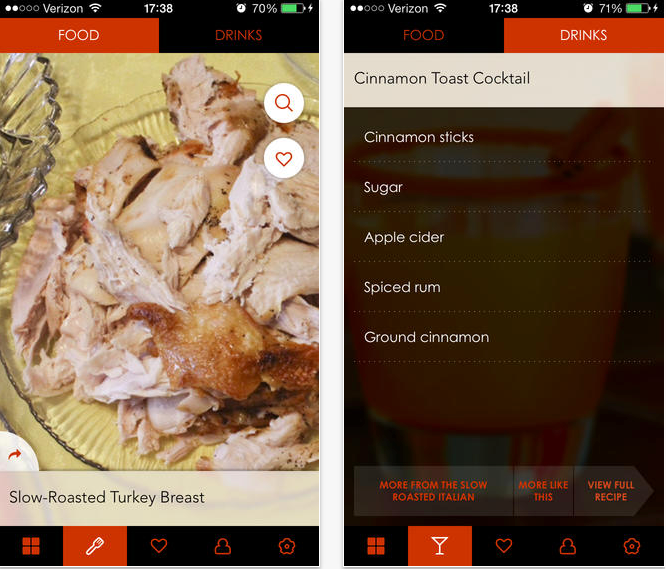 Was it an App-y Thanksgiving mobile for you? We all know that Thanksgiving is a big deal but a question that interests me is how big a deal Thanksgiving mobile was. Let’s start with some apps to get the “juices” flowing before we dig into a little more of the “meat”, and then "stuffing" it with lots of numbers - I know, I know - bad bad jokes. And obviously I am ignoring all those useful apps that you use to book your flight home for the holidays, party planner pro or photo apps etc. I am looking for the real impact of Thanksgiving outside your normal activities. Games - Cookie Dozer - basically take an existing game and stick a turkey on it to go round trashing your cookies - makes perfect sense. What I really wanted to see though was those trying to make money from Cyber monday Mobile, Black Friday mobile and everything in between. Does Snoopy count as a business? GIven that they were charging USD5.99 a download I think it counts as a business. Macy's is obviously what we think of as a brand but they were really pushing their parade, so it was more about using all Thanksgiving online channels to build awareness and branding. Here’s a company that has created a special app around the use of its product. Gojee curates hand selected recipes from some of the best food and drinks bloggers in the world although the website was a bit buggy so we went mobile only. Now when I say Thanksgiving obviously I am talking about Black Friday and Cyber Monday too - my American friends kept correcting me. Here is a good example of one of the more successful models for selling products during this period. This is not for one specific brand though. iOS devices accounted for 78.3 percent of all mobile e-commerce orders in the U.S., compared to 21.5 percent for Android devices. Doubling the retailer’s mobile transactions from the same period a year earlier. Mobile now makes up more than 70% of Walmart’s online traffic, the company said. According to Fernando Madeira, president and CEO of Walmart.com the shift away from desktop orders means mobile has “firmly established itself as the dominant shopping trend, for both traffic and sales”. Target said its online sales reached a new record on Thanksgiving Day, with the number of orders placed on its website or app for in-store pickup up 35 % from last year. And online shoppers crashed Target’s website seeking 15% off on Cyber Monday. So lets have a look at some of the ways that some notable brands promoted their apps this holiday season. “The success of a mobile app depends on the retailer’s ability to inspire its customers to take the first step to download the app,” said David Naumann, director of marketing at Boston Retail Partners, Boston. “While there is no surefire approach to get consumers to download apps, Sephora is clever to leverage other social media platforms like Snapchat to promote the benefits of the app." Instead of focusing on creating a killer branded Black Friday strategy, Nordstrom decided to not mention anything about the annual day sale or use any corresponding hashtags such as #blackfriday. Instead they included a close-up shot of 1 product with a short 5-word description, with hashtags. Over the course of 18 days, Nordstrom received over 18,690 actions from its fans and followers, which far outpaced its competition over Facebook, Twitter and Instagram. And notice how a rep from Nordstrom responds to every user comment or question on Facebook? Every. Single. One. 3. Hit up Millennials with a coupon for your brand that they’ll get when they go to other popular apps, Like Kohls did with TMZ. To break through the marketing clutter, Ms. Grannis Allen said retailers need to think beyond the store and add in social media promotions and unique advertising. One way Kohl's has been thinking outside of the box is by creating a coupon that pops up when you open the TMZ app. Ms. Grannis Allen said the Kohl's pop-up coupon is an interesting example of a "well-known department store going to a celebrity-based app that most often would be read by young adults and millennials." Over a week before the event itself, Debenhams was using Google AdWords to gain traction for their Black Friday sale, running with the message of “Why wait until Black Friday?”. Starting early is becoming increasingly commonplace and is a good way of spreading demand over a number of days. And some retailers opted-out of the biggest shopping day of the year in favor of attempting to create brand awareness. Instead they focused on increasing brand awareness and consumer engagement throughout the holiday season. And I nearly got this one just for the hell of it. Every office should have one! The long and short of it is that people spend lots of money over the Thanksgiving weekend, its a fact. They are also increasingly spending money through mobile. Are you ready for the next holiday rush? Do you know what building a killer app involves for your celebration?